Enjoy the mountains and the river form this location. Chateau Chaparral lies along the Arkansas River between Buena Vista and Salida. 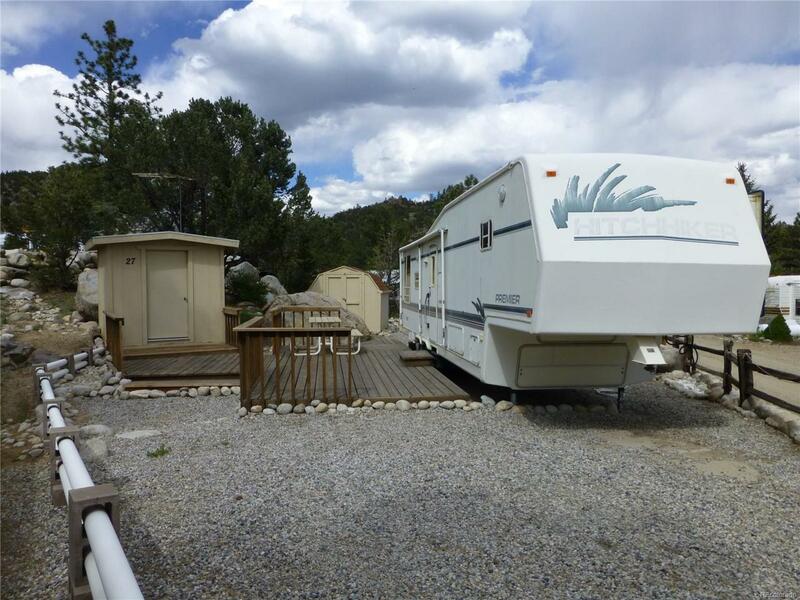 This area has Gold Medal fishing just steps away and a bridge to the Browns Canyon National Monument trail. This valley has the largest collection of 14,000 ft mountains in the lower 48 states. Skiing, hiking and ATVing are popular area pastimes. This is an active RV community. Live here full time or make it your Colorado get away! This unit is a 1994 5th wheel and the property does not have winter water.